I admit the first time I saw an Xtracycle FreeRadical I laughed at it, even the very idea of it. “Who wants to carry a cello on their bike” I think I said? I was firmly in the go fast by bike camp at that point, anything more than a messenger bag was too much. Well, one day I saw a friend riding to work with a radio playing NPR in his WALD basket, and then I went bike touring on an old Motobecane and then, eventually, I got a bike shop. And an Xtracycle! I found out that they really are amazing, and this blog is full of posts touting their many uses so I won’t waste time rehashing except to once again pay that ultimate compliment – Of my bikes the Xtracycle is the only one that would have to be replaced, and immediately, if it went missing. My first Xtracycle was the FreeRadical add on kit. 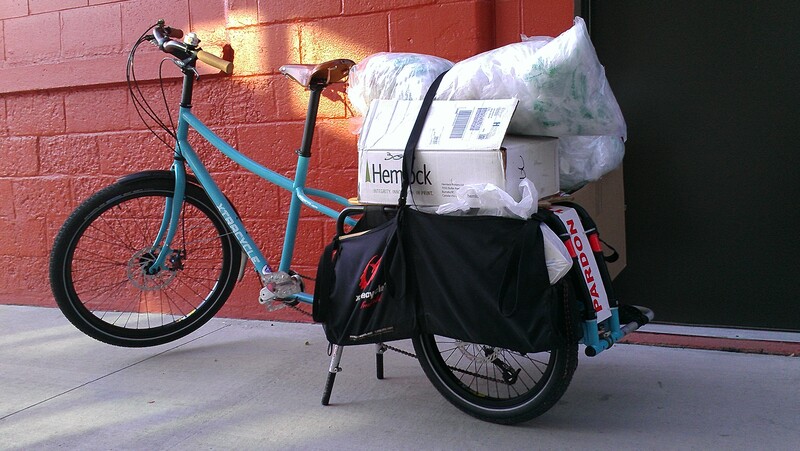 Comes with everything you need to turn the bike you already have into a legit cargo bike. Xtracycle is now updating the design of the venerable old FreeRad and have stopped production of the old design. Which is what I wanted to tell you! Pictured is the last FreeRad we will ever have in stock. So if you have been on the fence about trying this whole cargo bike lifestyle out with an add on kit you better act soon, because that whole fence is about to get torn down. Our floor is orange when it is not too dirty. 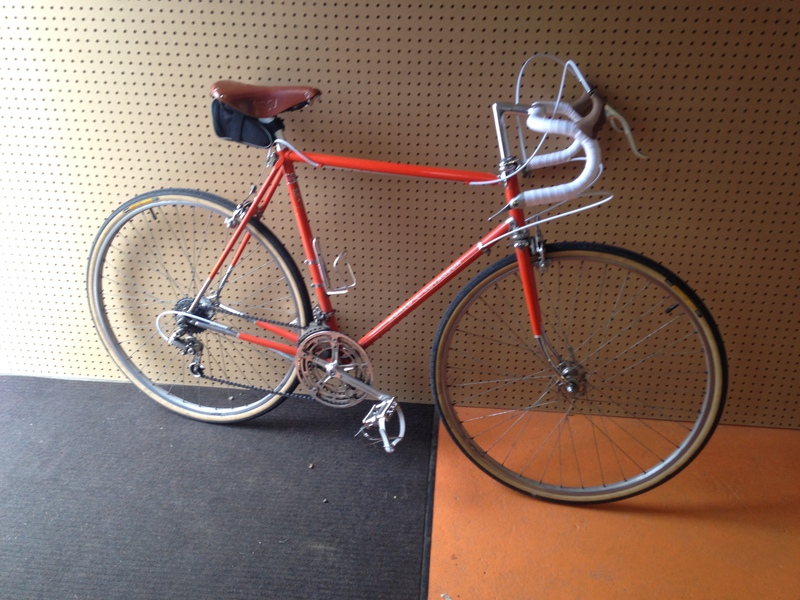 So is this sweet old Schwinn Voyageur. 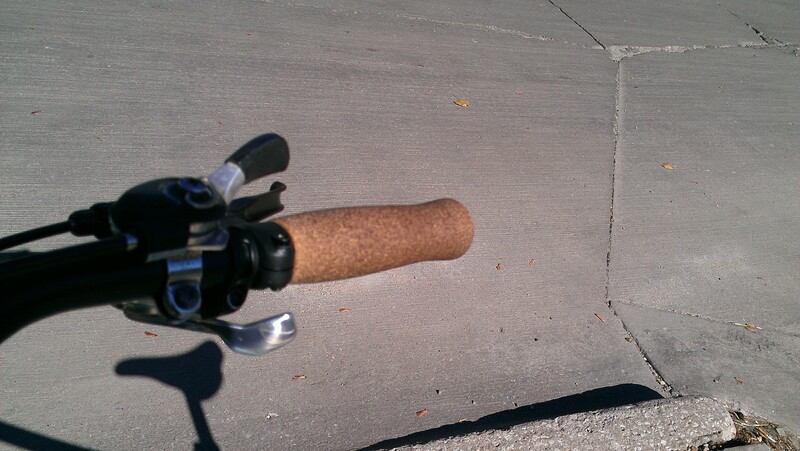 The owner had us add some shine from Velo Orange and Nitto and a touch of honey from Brooks. Another orange one, brand new out of a really small box is this Dahon Speed D7 in tangerine. 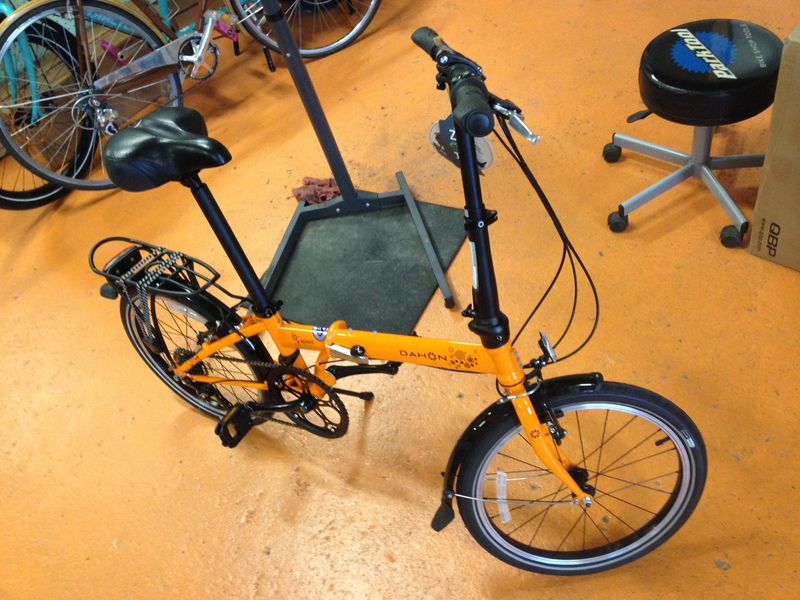 This is the folding bike we sell more than any other because it is simple, strong, and, well – it’s orange! In other upgrade news we have gotten in a couple more sets of Retroshifters, now called Gevenalle or however it’s pronounced – one set to help this tandem shift more reliably especially up front on it’s wide range crankset. 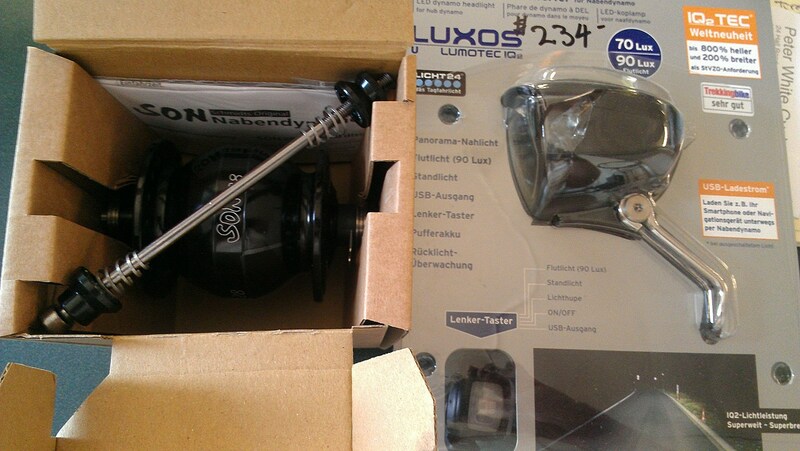 The other set is for a Breadwinner Aufderheide we are building up, pictures to follow but a bike so nice gets it’s own blog post! 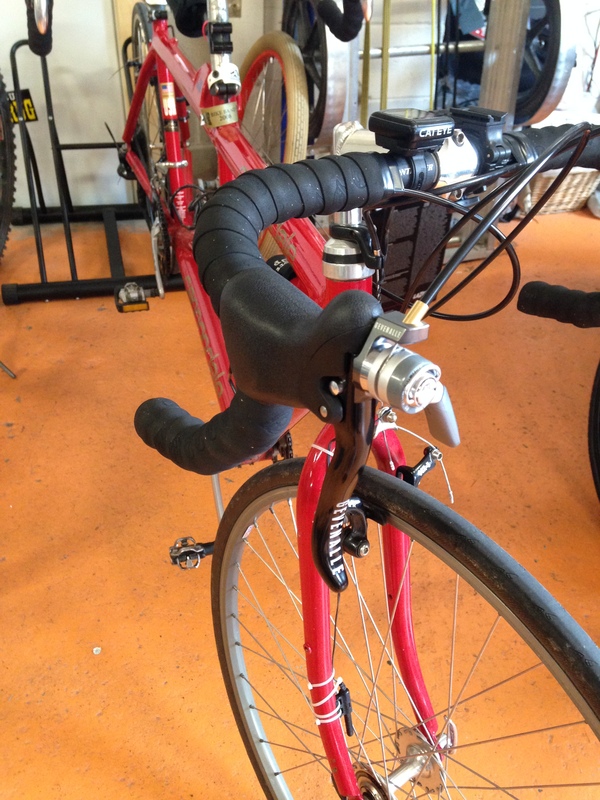 Another cool upgrade shifter project. We took off dead Shimano trigger shifters here and replaced them with these nicely machined thumb shifters from Microshift. Strong light cheap – pick all three! 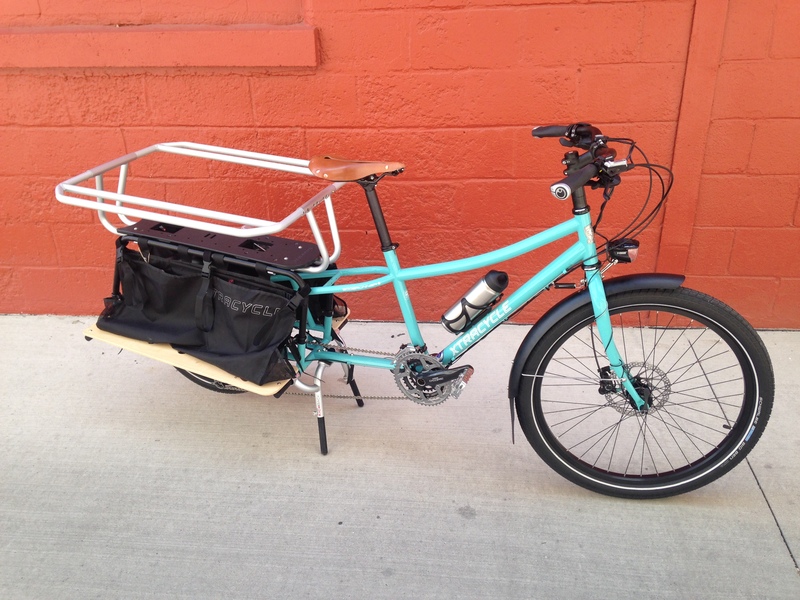 Not orange but sure to make folks green with envy is this decked out Xtracycle Edgerunner with the full family package to haul kids and or cargo – plus a generator wheel powering front and back lights with a USB charger. 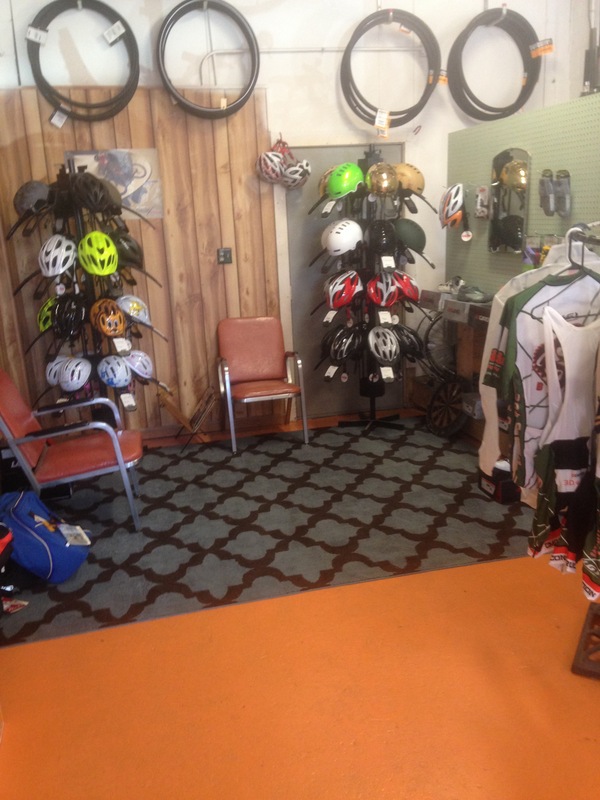 Last thing orange and upgraded we made some major changes to our helmet / clothing / shoe corner. Stop in and take a seat – we do! Carpet is also quite comfortable for naps we hear. 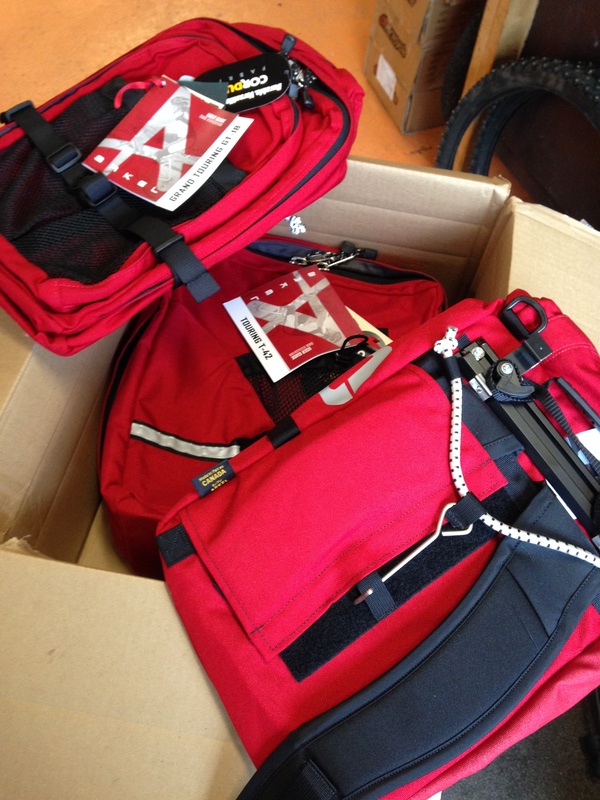 We stock all of these Arkel bags, but not in red so we had to special order this set. The T-42 set is all you need to do about any tour, just a bit smaller than the GT-54 which is the biggest on the block. And up front the GT-18 on one side and the backpack convertible GT-18BP gives you a daypack option if you are leaving your bike for a bit and exploring on foot. Great bags in any color! 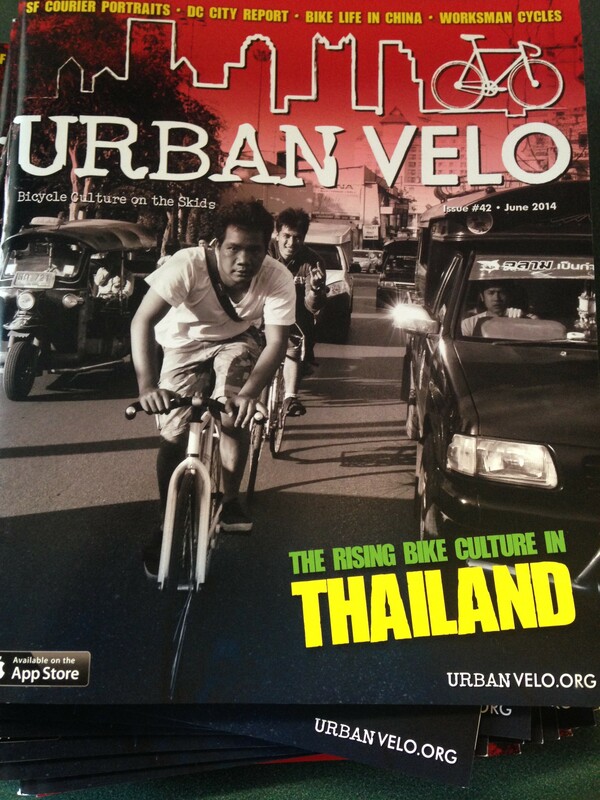 Also sporting red the latest Urban Velo just arrived and it is packed with good stuff including a really awesome article about Worksman Cycles in NYC. Free as always, come pick one up! 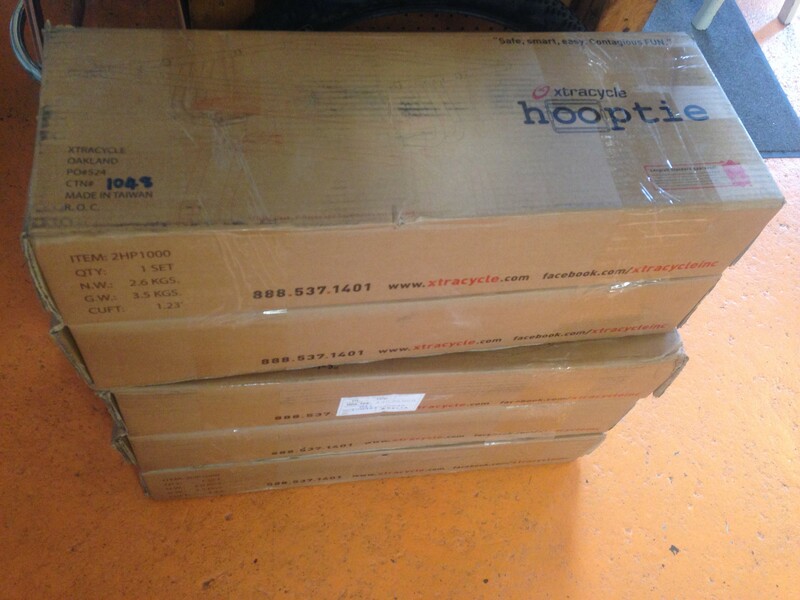 And with just a touch of red but enough to get it into this blog post, we just took delivery of 5 hoopties from Xtracycle! 4 are pre-sold so you do the math, hooptie shoppers. 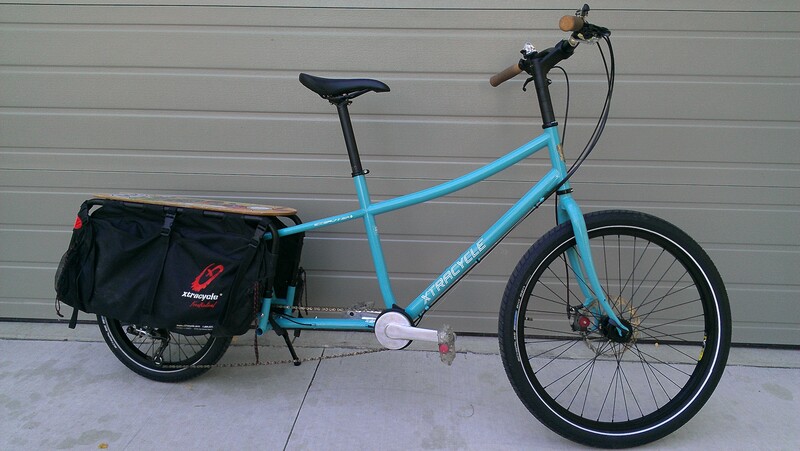 Xtracycle and hooptie can change your life – you read it here. First up – future event! Next Friday, March 7th The NCJC Youth Off Road Riders are having a Spring Benefit and Hand Built Bike Show at the Terry Trueblood pavilion. Silent auction. Live auction. Pretty hand made bikes to look at from the UI frame building class. Hope to see you there. Presently, just want to mention that our Swing into Spring Sale is still on, and while the stock of hats is gone and gloves are low we still have a limited selection of studded tires in 26″ and 700c. And for good measure our remaining 2013 MASI road bikes are 15% off. To the past then, this unforgettable winter weather will soon be forgotten as the cycling season proper is coming at us. 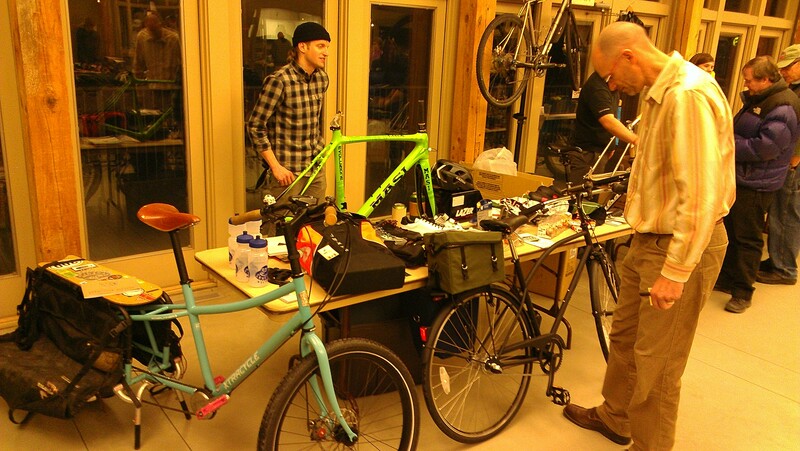 Last night Bicyclists of Iowa City held their annual Bike Expo out at the North Ridge Pavillion in Coralville. Donnie and I loaded up a couple of cool bikes with cool stuff to show off and made the ride out to do just that. Xtracycle Edgerunner, Detroit Bikes A-Type, Ironweed BP bags, Selle Anatomica demo saddles, a full carbon MASI road frameset, some Arkel stuff, Retroshifters, Giro shoes and more. 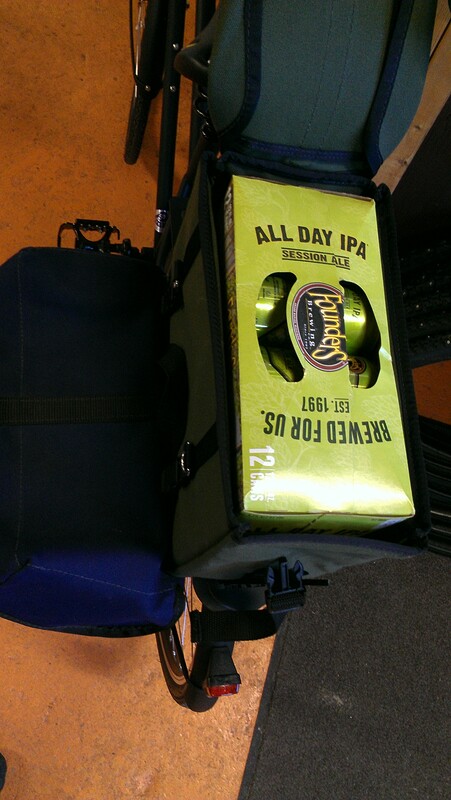 The Ironweed Dolliver trunk bag fits a 12 pack perfectly! We had a good time drinking a couple of those and chatting with folks, and the ride back was all tailwinds and smiles, like the Spring season just ahead. 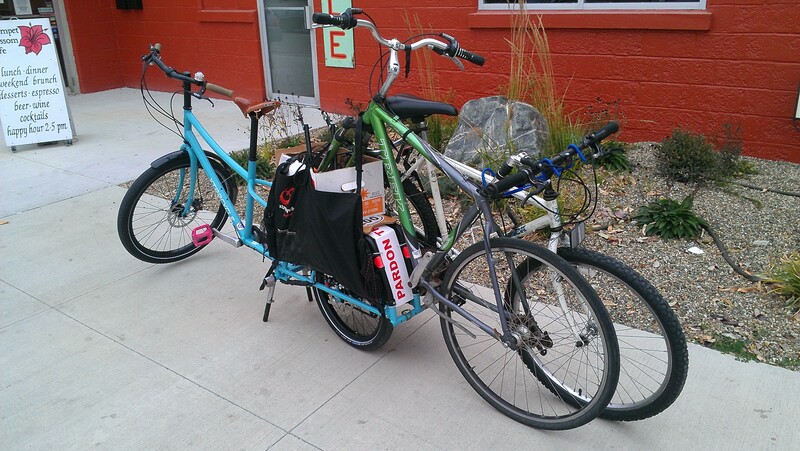 Been breaking in the new shop truck, the Edgerunner from Xtracycle. Recycling hauled over to City Carton. 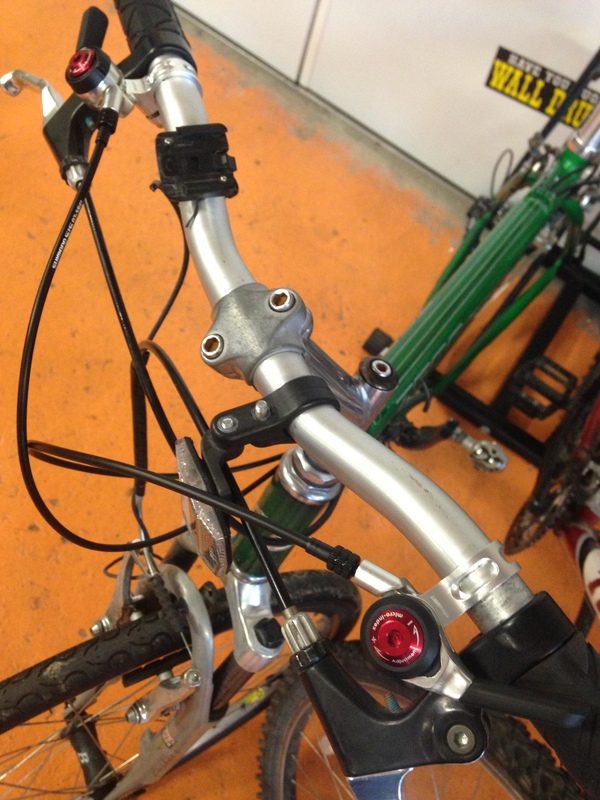 Also a couple of cycles to be re-cycled and box of parts to the Bike Library. This new design taking the low to the cargo is great and rides super stable, even with a heavy load just on one side, which of course we have tried. Looks like the Bikes at Work trailer will even be able to hitch on there, turning the shop truck into the equivalent of the shop aircraft carrier. We have built some nice wheels, sure have, and this is surely the nicest picture we have ever taken of wheels we built. 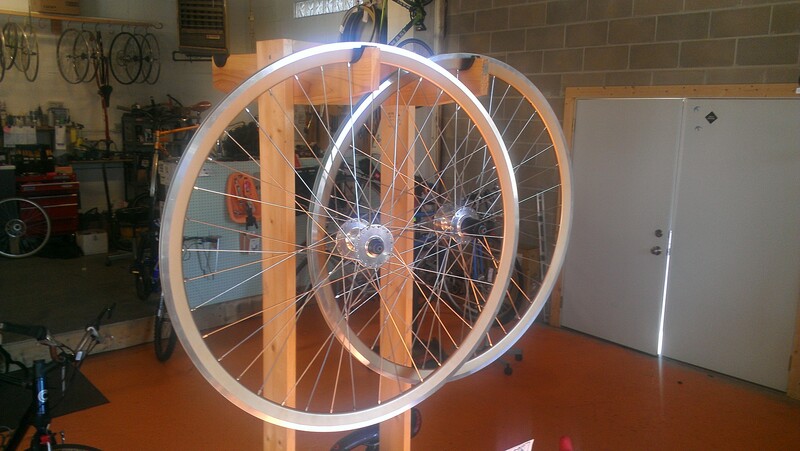 40 spokes per, fer a bicycle built for two. Strong like Bull! That is custom paint on those Velocity Deep Vs, too. 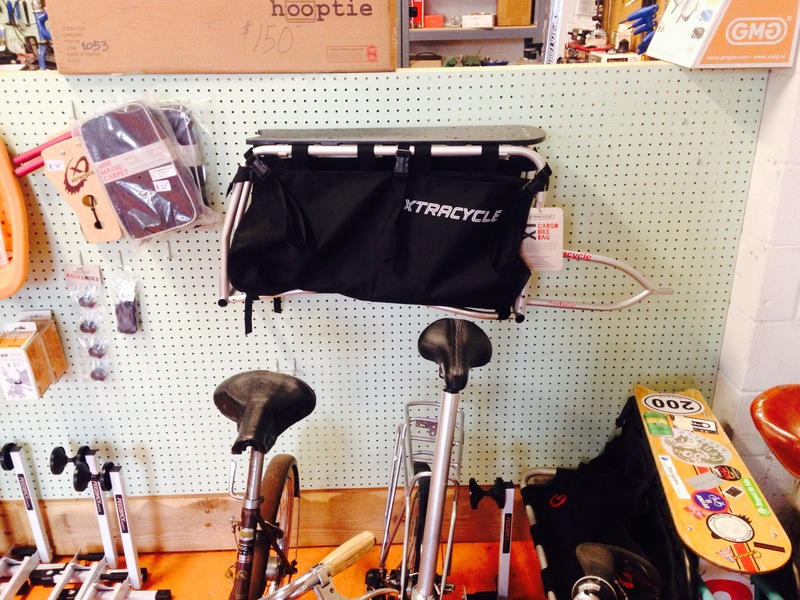 Finally we have the Xtracycle Edgerunner in the shop! This is the new cargo bike of the future design with the 20″ rear wheel, lowers the load and that wheel is strong like Bull! This is our shop ride, yes, but it is also our demo so if you want to spend a day or a few with it come talk to us. Built up with a mix of the stock parts and our favorite substitutions, one highlight is total right hand shifting control. Which makes sense because your left hand is holding your cup of coffee. First up, our great BIG Stupid Construction SALE will continue through closing time this Saturday! 10% off all new bikes, take another 10% off bikes already on sale! 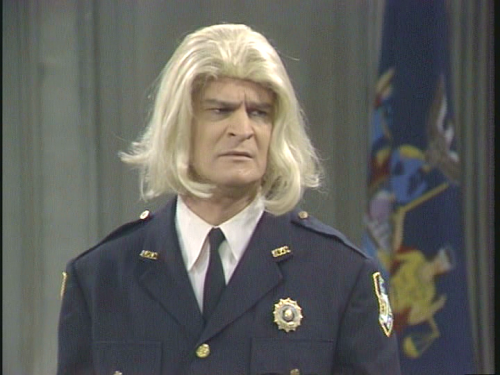 So yes, the construction is almost done, the building is looking great and things are returning to normal. Much thanks to all of you who braved the noise dust mud and such to wade in here and see us! So what have we been up to behind the scenes? 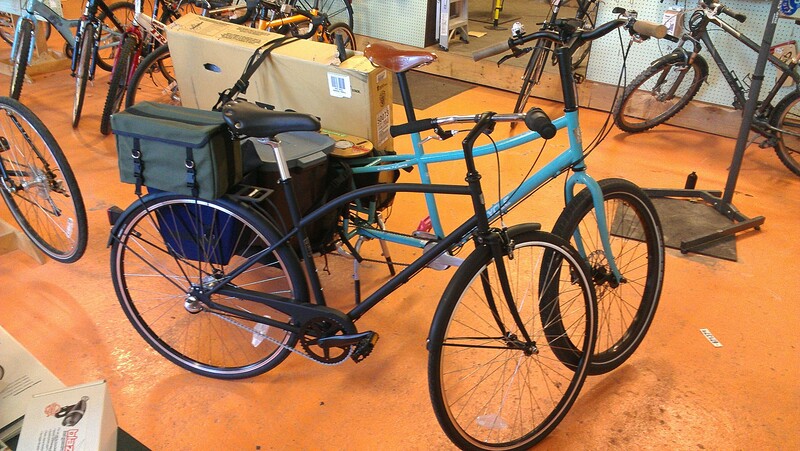 Well, we have brought in a couple of new bikes from Marin that are sure to please most bike commuting needs. The Muirwoods 29’er is basically a steel frame mountain bike built for the streets. 3×8 drivetrain, disc brakes, locking skewers for the wheels and saddle and reflective decals galore. The Hamilton 29’er is the same chassis but with rim brakes and a 1×7 drivetrain for simplicity and easy cheap maintenance. 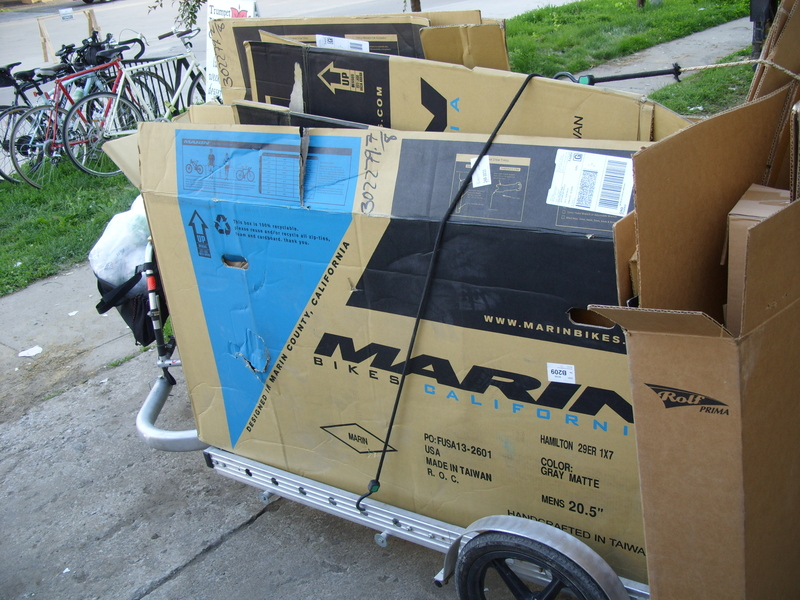 When we build the bikes we recycle the boxes by bike, always! 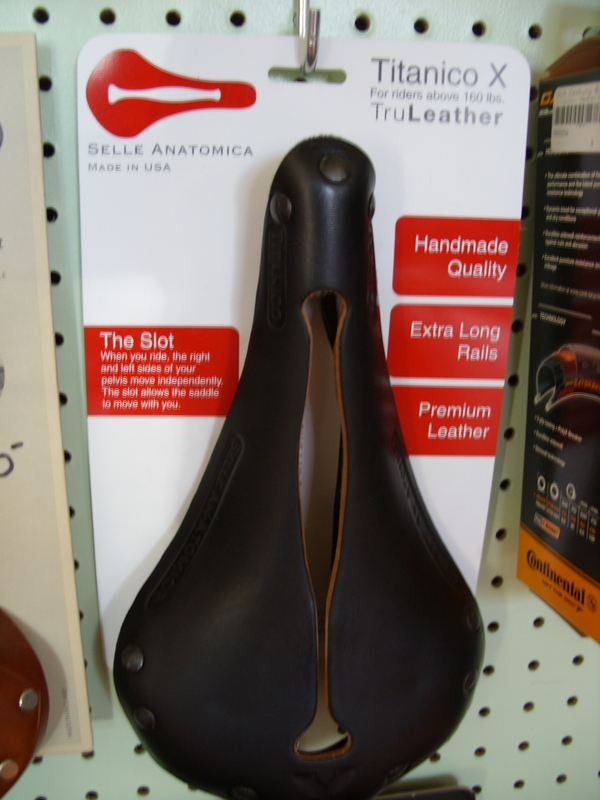 Speaking of bikes, again, we are now Selle Anatomica dealers and have we the demo saddles to prove it! There is kind of a line already to try a demo, but if you want to get on one give us a call and we can get you on the list. These made in the USA saddles have quite the comfortable reputation and so far have gotten good reviews from the few people we have sent them out under. Sadly demand has been so high we have not yet gotten to demo ourselves! We also built another really nice generator system that was picked up so fast by the new owner we did not even have time to snap a picture of the finished project, so here are a couple of the parts. Last new thing, our updated shop clothing is shipping to us this week! 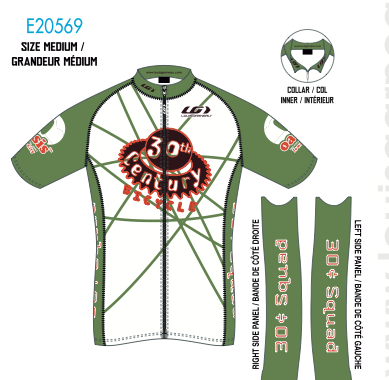 Jerseys and shorts this time, might see them by the weekend, early next week for sure! 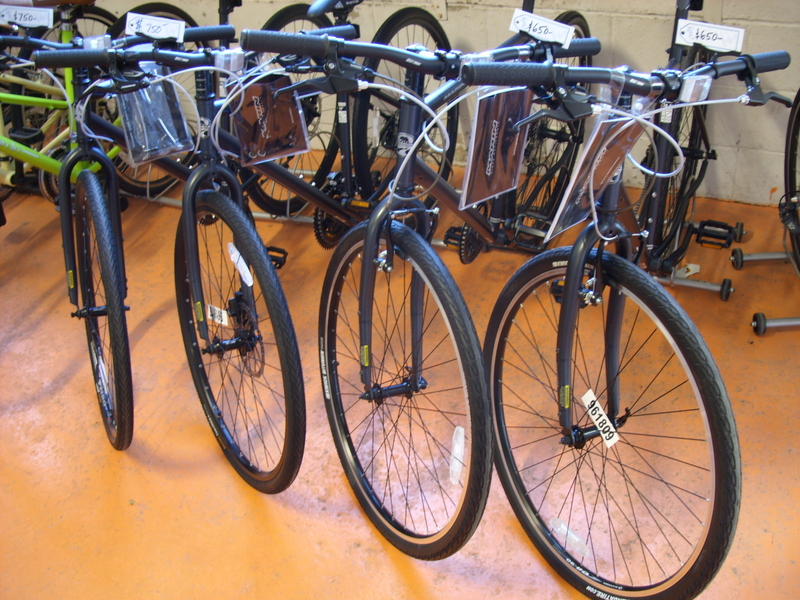 And just so you don’t think we are going all NEW on you, we got some used bikes ready and they are up on the USED BIKES page now. A commuter bike shop in Iowa City. Sales and service of new and used bikes. We buy old bikes and take trade ins.